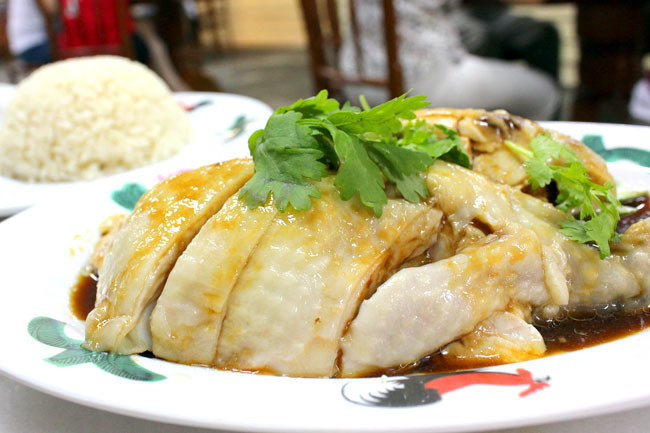 Wee Nam Kee has been known for its Hainanese dishes, especially its flavourful chicken rice and tender chicken meat pieces. Its main store opposite Novena Church has been attracting crowds of supporters, many claim that this is the best Hainanese chicken rice n Singapore. Since 1989, the two generations of Wees have proudly preserve the heritage and recipes refined over the years. To my surprise, I found out that founder Mr Wee Toon Oout does not cook at all. How did he discover his delicious chicken rice recipe? And why did Mr Wee wait for more than 20 years before he opened his 2nd branch? You first started out in the print and advertising industry. How did you end up selling chicken rice? My first job was actually in the advertising line, and it got me exposure to F&B businesses big and small. When my friend wanted to let go of his chicken rice business, I thought it was good time to move into the industry. If I am not wrong, you do not have cooking experience at all. What gave you the courage and determination to sell food? Well, even though I cannot cook at all, and I still can’t, I knew I am extremely good at discerning and tasting. I may not know how to cook, but I pay much detail in eating, and knew how to direct the cooks to prepare what I want. 20 years ago, you hired Master Chef Loh to head the Wee Nam Kee kitchen. How did the two of you work together? You must remember chefs and cooks are very sensitive artists themselves. I won’t dare to say I teach him – it’s not right. But we experiment together – add a bit of salt, add a little less of that – and we came up with this present formula, along with the sauces. 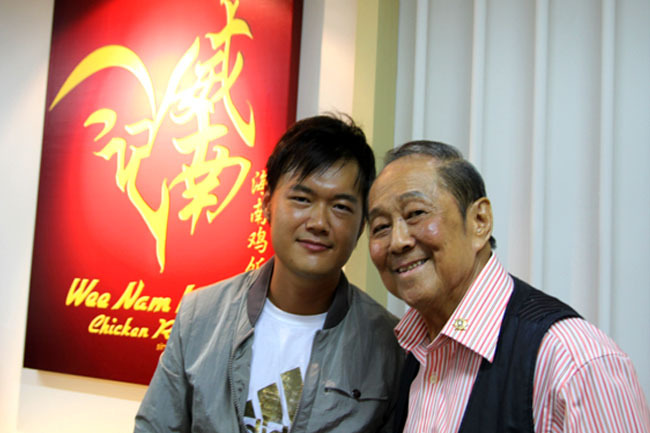 What is the secret to Wee Nam Kee’s success? Never put profits as your Number 1 priority. I take on a ‘motherhood’ mentality. You see, a mother will never cook lousy food for her children. If we put our heart and passion into our cooking, the customers will feel it. 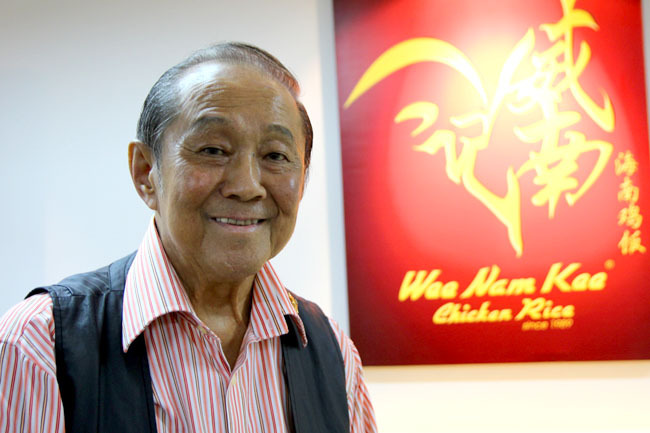 Wee Nam Kee has been around for 23 years. How has it evolved or changed over the last 2 decades? Our chicken recipe has always been changing. Other than the chefs’ feedback, I keep asking customers how we can improve. Rather than say this is my formula, I prefer to say the recipe belongs to our loyal customers. Your hawker stall eventually become a family restaurant serving up a broad range of Nanyang-inspired dishes which include Curry Fish Head, Cereal Prawns, Crispy Roast Pork, Deep Fried Tou Fu, Stir fried Baby Kai Lan and other local favorites? Why did you diversify? 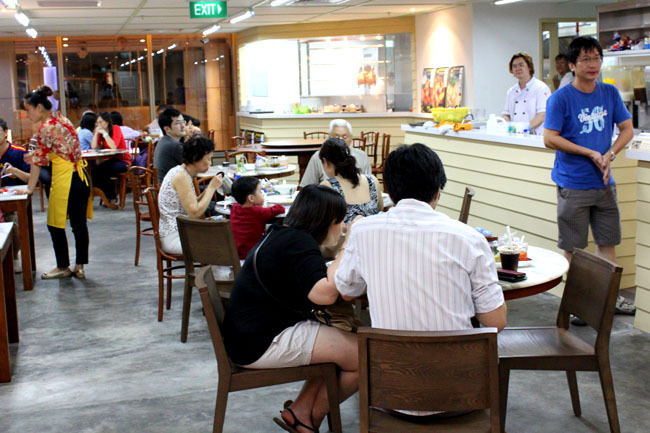 I realised many customers often brought their entire families to eat our chicken rice. As a businessman, I felt something was missing – it did not feel like the families were having proper dinners. Therefore, I worked with the chefs to create an entire menu suitable for families. Talking about diversification, you waited for more than 2 decades before you opened your 2nd store. Why did you not join the footsteps of other chicken shops such as Boon Tong Kee, Loy Kee and 5 Star earlier? It is very difficult to maintain consistency if you open too many branches. I do not want customers to say my chicken rice from another branch tastes different. Of course I am glad my son was willing to take over the business. After all, he is a overseas university graduate, and I never expected him to step forward. I am curious, since you are a Mr Huang 黄, why did you call your shop “Wei Nan Ji 威南记” in Chinese? I wanted to call it Huang Nan Ji 黄南记, but it just sounds strange. ‘Wei 威’ is the same as ‘wei feng 威风’ (prestige), which sounds more magnificent. Mr Wee Sr. was clear in his pursuit of relentless innovation as a formula for success. From the early days, he constantly challenged his cooks to incorporate customer feedback into their often very personal approaches to cooking. Listening to the customer literally means that Wee Nam Kee’s secret to the chicken rice is his customer’s “recipes”. Up to this very day, you can still see him at the Novena shop, watching the customers as they eat. He says that that is the most direct feedback he can get. So when he saw that the customers did not finish a particular dish, he might taste it himself and then tell his cooks to work on it! What I learnt from him is, even though he knew that he had his weaknesses, he knew he could rely on good friends, co-workers and customers. His secret is there is never a perfect formula – you just have to keep improving. Perhaps a reminder to ourselves to always stay humble with a learning heart. Just added your post into my FB Page for sharing. At last! Something clear I can undrtseand. Thanks!